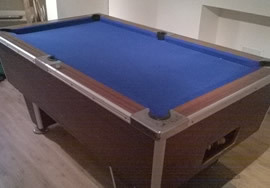 We recently received a call from a customer who had bought an old 6ft pool table and wanted advice on recovering as he was unsure of the make. 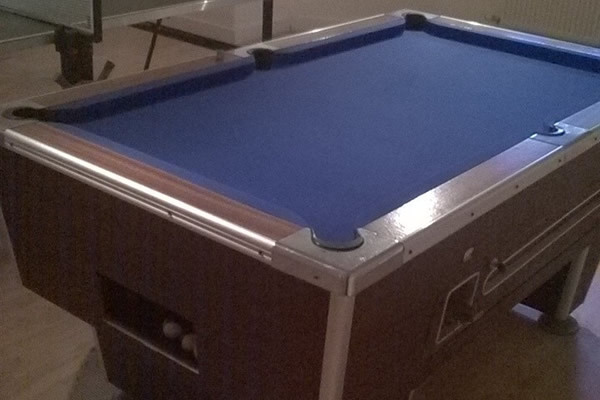 Our client sent pictures and we assured him that we knew exactly what the table was as we had worked at the company that made them over 39 years ago. 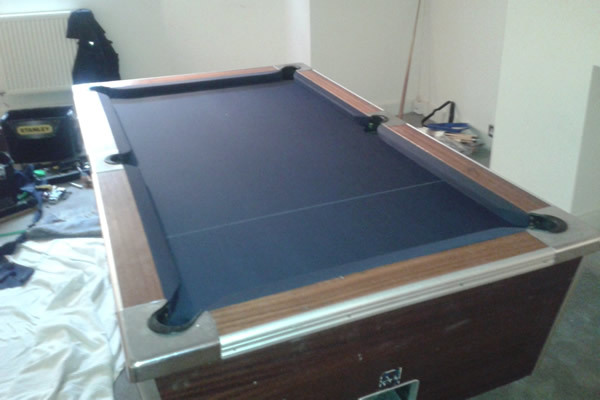 Despite its age it was in good condition due to its plywood construction and rock solid build qualities. 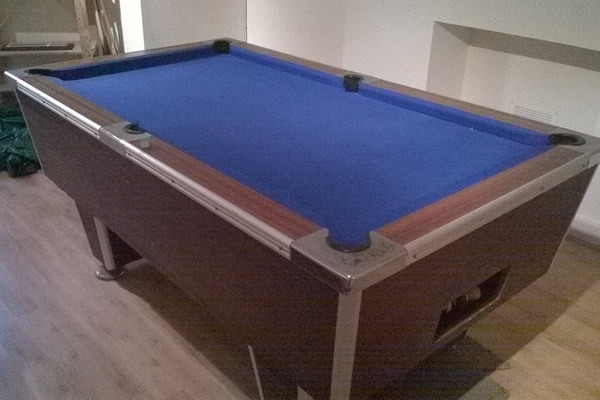 The blue wool cloth needed replacing and we also ascertained that the cushions required replacing too. 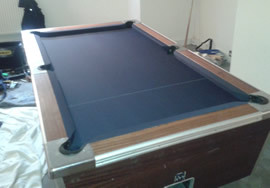 We recovered a set of our new cushions in Elite Pro Marine Blue nylon cloth and completed the slate recover on site. 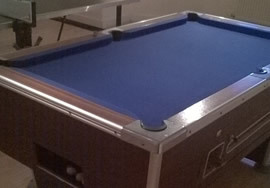 The job took longer than anticipated due to the age of the table but the resulting pictures draw testament to the professional job made by our trained fitter. As a bonus we offered a range of spares at keen prices, no delivery was charged with the deal so our client was doubly pleased. 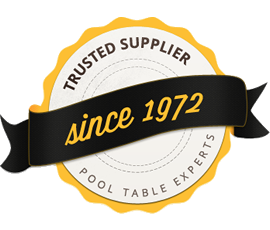 With our vast experience we recover most tables on the market, call us today for a free assessment of work needed on your table.